Looking for flipbooks and photobooth rentals in your area? Each of our locations is locally managed by A Flying Camera members who have tons of event experience in your area. Click below to get more local information. We service nearly all of California and Las Vegas without any travel fees. 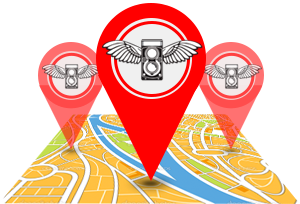 Check out our nearest satellite location near you to get your party going.